Expenses of diffusion and organization of the act of inauguration of the work (in June) and other activities before and after the placement of the monument, in the year of the 40th anniversary: photographic exhibition, film series, hip-hop festival, talks, etc. 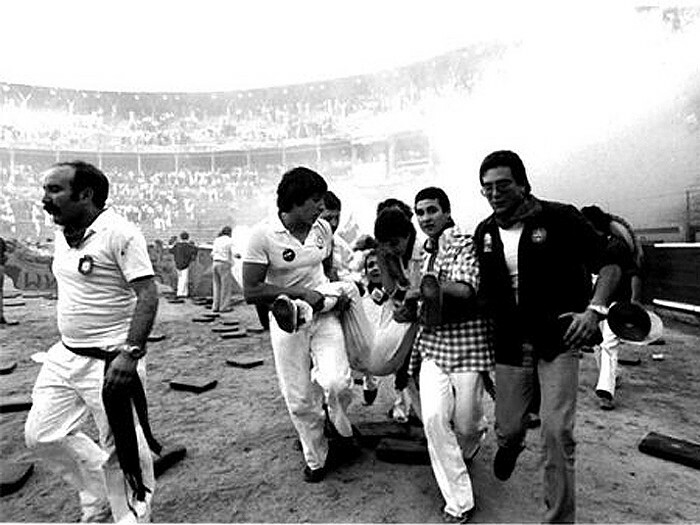 With this campaign we intend to collectively finance the creation of a monument in memory of the aggression suffered in Pamplona during the Sanfermines of 1978, a monument that will be placed in the vicinity of the Pamplona bullring. Iruñea already has a stele in memory of Germán, a young man murdered that July 8, and now we propose to erect a new sculptural work that expresses all that indiscriminate aggression, the pain of an entire city beaten with impunity by the Police. 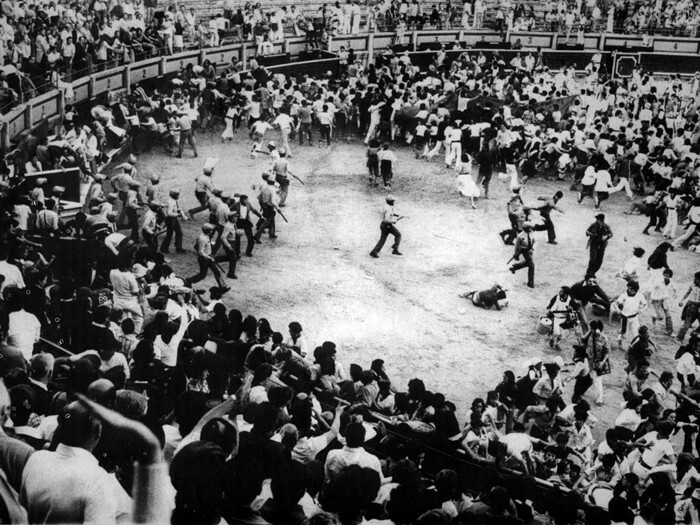 Any of the twenty thousand people who were in the Plaza de Toros that day or the many others who celebrated the Sanfermines in the streets of Iruñea after the bullfight could have been Germán. As happened in his day with the stela, we want that the citizens themselves endorse with their economic contributions, in an integral way, the realization and placement of the sculpture. 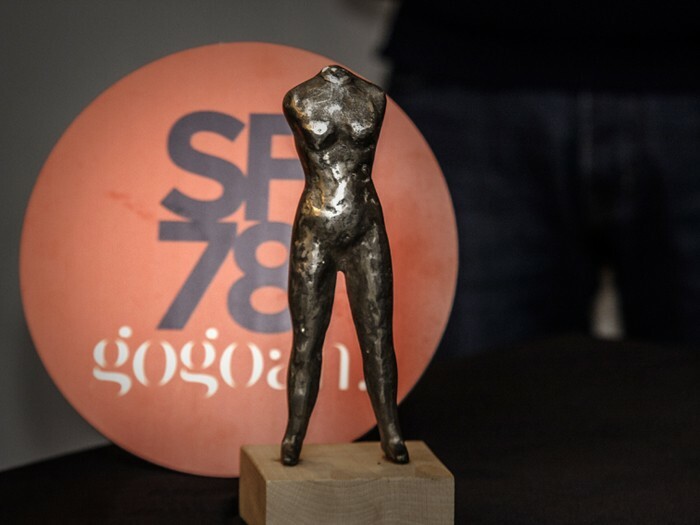 “Gogoan” is a sculpture made of wrought iron, approximately two meters high, on a base of about 20 centimeters, on the base of which will be introduced a “box of time” with the names of all the people, groups and entities that make contributions to the campaign. • cover the shipments-sending of the rewards, as well as the management expenses of this platform and bank commissions. These are our minimum objectives, but we are optimistic and we hope that the funds obtained in this popular cost will reach, in a second round, the optimal amount that will allow us to cover other activities that we want to organize for this 40th anniversary (exhibition of unpublished photographs, cycle of cinema on historical memory, concerts...), especially the events that will be held on July 8, 2018, in full San Fermin fiestas, which will be the culmination of the 40th anniversary of the events of 78. 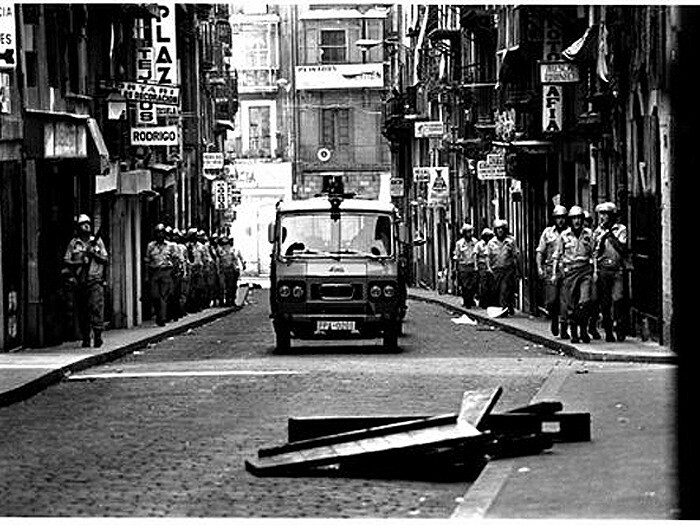 In those sanfermines of 1978, the police swept our city without any regard. According to official data, on July 8, 5,000 rubber balls, 1,000 smoke cans, as many tear gas and 150 bullets of real ammunition were fired. The consequences are known: the young Germán Rodríguez murdered; 11 injured by firearm; several hundred more people treated in the infirmary of the bulfight ring, in hospitals, the San Fermín fiesta suspended... “Shoot with all your energy. Do not mind killing” was recorded from the police station. What happened in those Sanfermines has been, in general, silenced and marginalized, when not distorted. That is why we believe it is essential to rescue the truth about what happened and to fill with it the vacuum created by the oblivion imposed. The new generations must know what happened in order to settle a future with firm foundations that avoid the repetition of what happened. Go back to the past and take momentum in the present. The reconstruction of a living and democratic memory of July 1978 must be in conflict with the present and must try to establish continuity with the people who are struggling today. 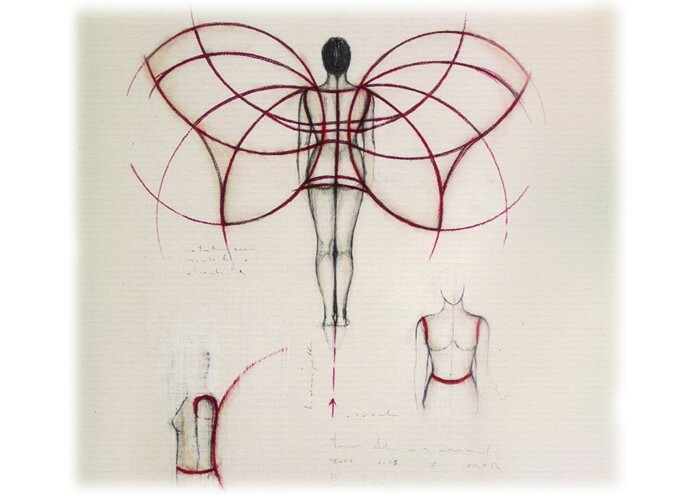 In addition, the fact that it is Dora Salazar the author of the work will also contribute to increase the number of works of women artists in the public space of our city, where, as in most urban spaces, they are still scarce. The existence and contribution of creative women in all periods, movements and artistic vanguards is not sufficiently represented (in many cases ignored) in public spaces, in museums and galleries or in history books. 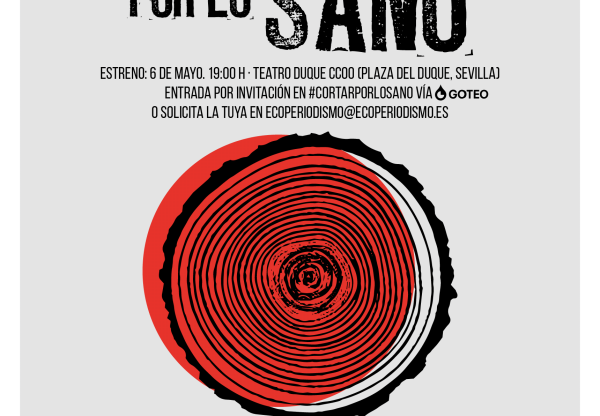 This campaign is promoted by the citizen initiative Sanfermines 78 gogoan! and is part of a set of awareness-raising activities that will take place during 2018, year in which the 40th anniversary of the Sanfermines events of 78 is commemorated. 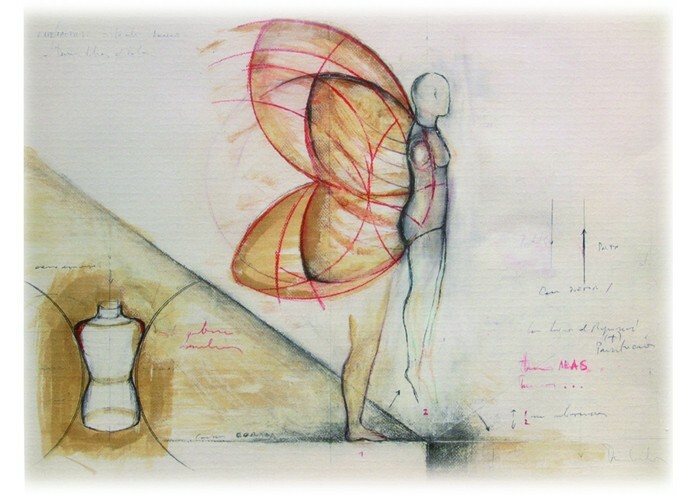 At the proposal of the collective, Dora Salazar (Altsasu, 1963) will be the author of the sculptural work. 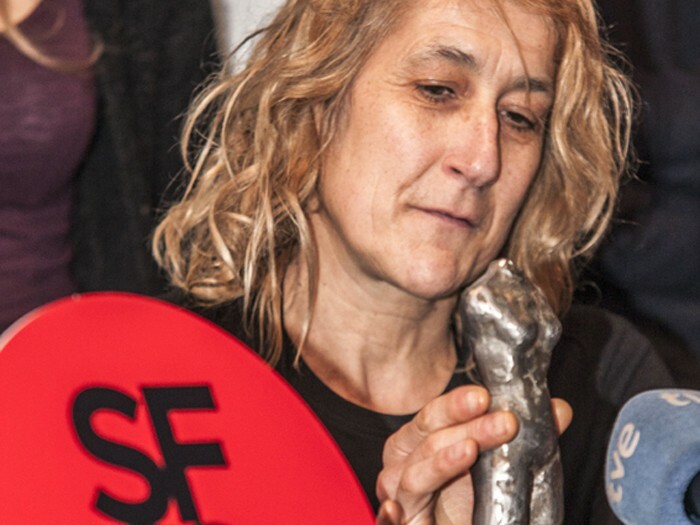 A referential plastic artist in the world of contemporary art, Dora Salazar works between Donostia and Bilbo, where she has her workshop, and has exhibited her work in cities such as Madrid, Berlin, New York or Paris, both in collective and individual exhibitions. 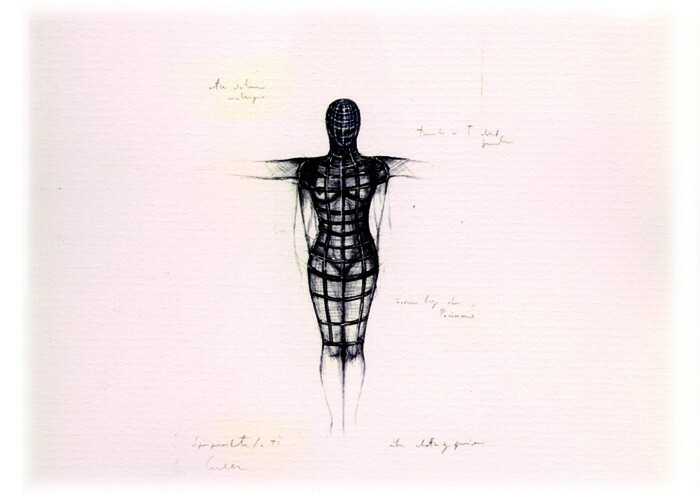 He works especially sculpture, but also has works in other disciplines such as painting, illustration or theatrical scenery. 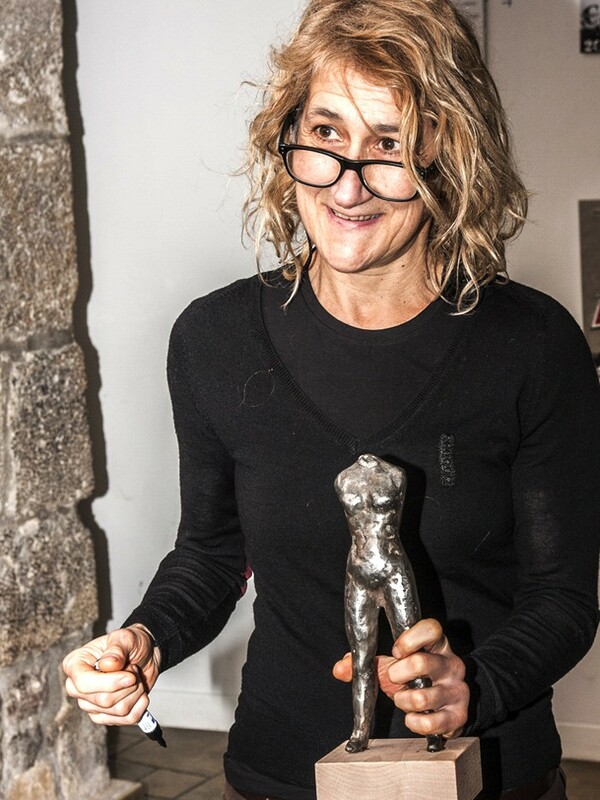 Among other awards he has received the First Gure Artea Sculpture Prize, the L'Contemporain International Salon of Strasbourg Prize or the First Prize of Sculpture Paseo Marítimo de Zarauz (Gipuzkoa). 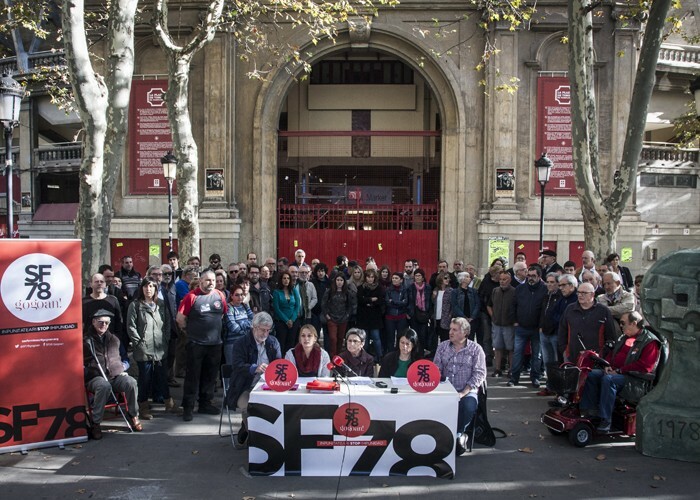 As a fundamental part of the “Stop impunity!” campaign, the placement of a commemorative monument for the 40th anniversary of the sanfermines events of 1978 is a commitment to the recognition of the victims, and the search for truth, justice and reparation necessary after four decades of vindication and struggle.